As you guys probably already know, I am ALWAYS traveling. I love getting to see new places and experience new things, but I also love having all my essentials with me so I can feel at home even when I’m away. Thankfully, I recently found a luggage company who values these things as well! Away Travel believes that your suitcase should act as your home away from home. It should be able to hold everything you need and make you feel comfortable knowing that your belongings are safe! 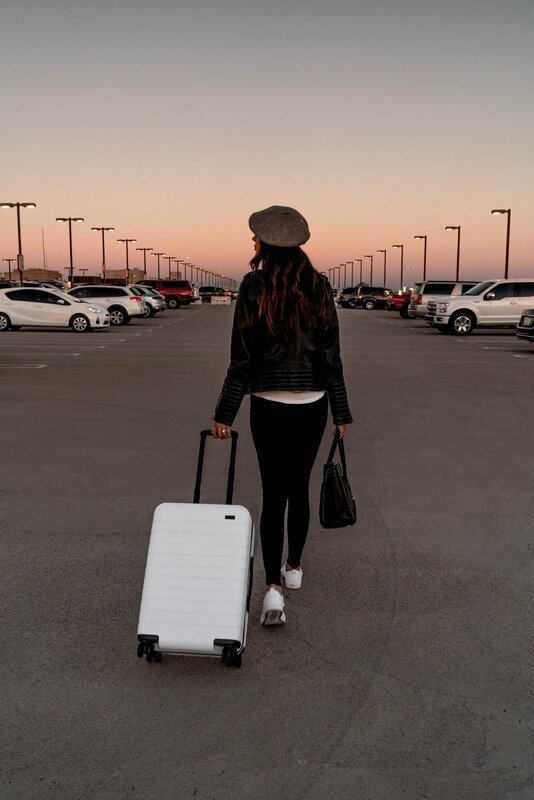 The shells of the suitcases are unbreakable and made from the best materials in the world, they are totally scratch resistant so no matter how often you travel, your luggage will remain in good condition. Plus, all of their carry-ons come with built-in USB ports. It literally doesn’t get any more handy than that, so obviously I was super excited to get my hands on a set as soon as possible. 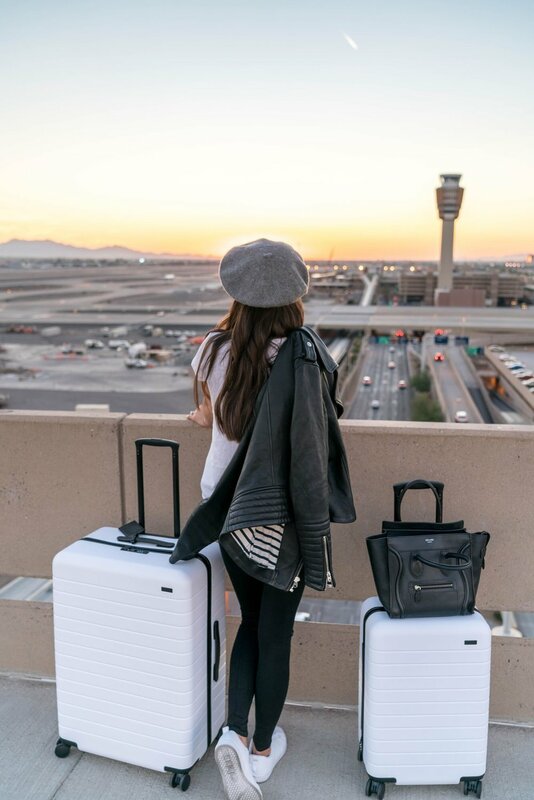 I ordered a matching set: the large suitcase and the large carry-on, both in white. I really do love the way they look. They are so cute and the style is super minimalistic and not bulky at all. The wheels have 360 degree functionality so they are super easy to move around with. Like I mentioned earlier, there’s a USB port in the carry-on, meaning it has it’s own built-in battery. I think that’s so helpful because I’m always on my phone working when I’m away, so my own personal charging station is a life-saver. Each suitcase also comes with a TSA-approved lock so I know my belongings are always going to be safe, even when I’m not around. Something extra special about my suitcase is that it allows me to pack away my entire wardrobe. There’s even an interior compression system and a removable laundry bag. This is a total must and so convenient because I really do pack an entire wardrobe when I’m traveling for work. Plus, when everything's said and done and you’re finally home, all of their suitcases fit inside each other, making storing them a breeze. Did I mention their suitcases are guaranteed for life? Away luggage is truly something special! Click here if you guys want to learn more about the luggage and get your hands on a set as well! My Away Travel suitcases were gifted, but the thoughts and opinions expressed in this blog are completely my own.